Having problems with your Thermal Printer? Losing productivity because your printer is down? We work on all major brands (e.g. Datamax, Eltron, Intermec, Sato, Zebra and much more). 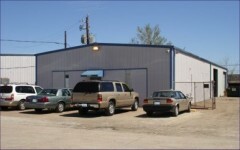 We offer a full service depot center with trained technicians. If your company is in the Houston area we can also provide on-site service. We can offer you great service at a great price so give us a call today.